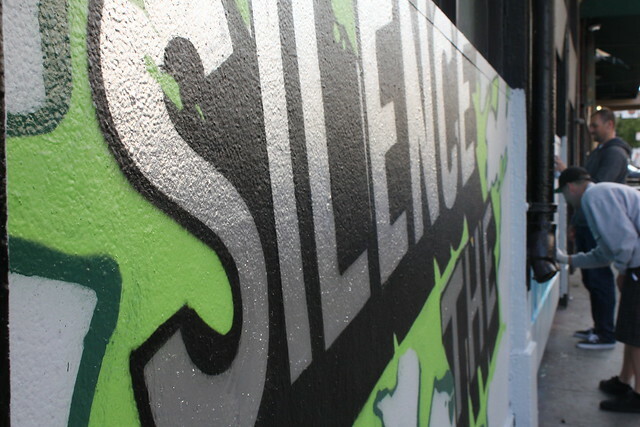 Yesterday, July 25th, marked “Silence the Violence” day throughout the nation. Our Howard Street neighbor, United Playaz, hosted a block wide event to spread the message of urban peace. United Playaz is a non-profit organization dedicated to violence prevention and youth leadership that works with San Francisco’s hardest to reach youth through street outreach, case management, in-school services, recreational activities, and support to incarcerated youth. 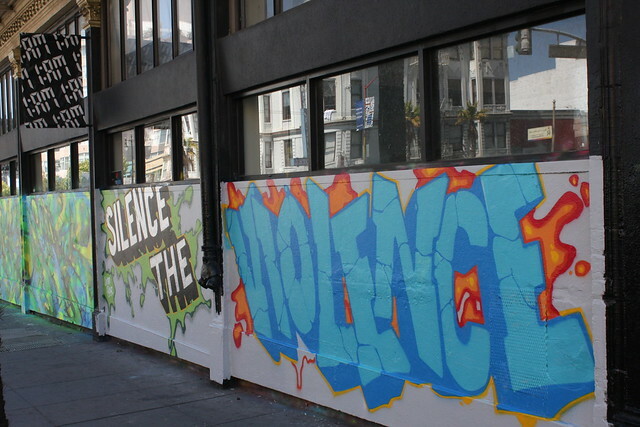 They reached out to 1AM‘s art director, Roman, to create a mural to help share the motto, “Silence the Violence”. An advocate, who spent 27 years in prison for killing a rival gang member, comments about people who get caught up in the violence, “They sold their dreams because their mindset wasn’t on their goals” (KQED). We’re glad that we have United Playaz, who is taking a stance, trying to make a difference and shaping the future of our youth.